Texas Attorney General Ken Paxton is suing Waller County over its ban on guns at its courthouse. The suit, filed Monday afternoon in district court in Travis County, centers on a provision of Texas' new open carry law. 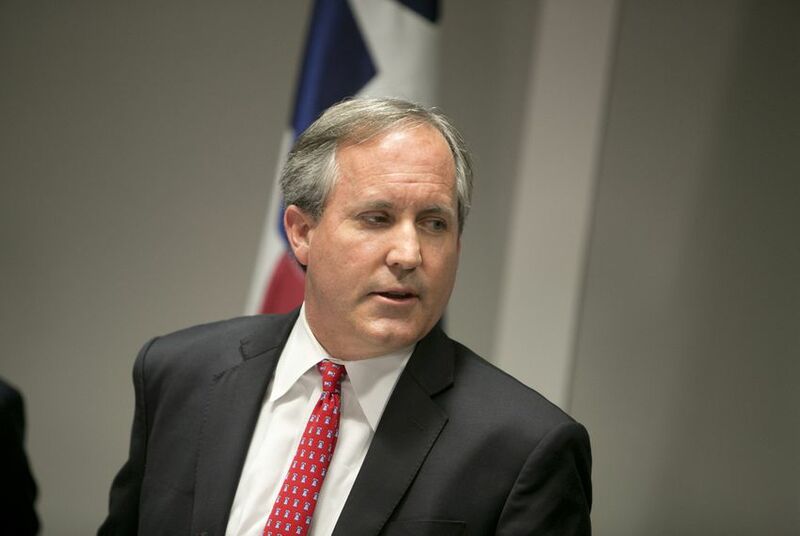 Texas Attorney General Ken Paxton is suing Waller County over its ban on guns at its courthouse. The suit, filed Monday afternoon in district court in Travis County, centers on a provision of Texas' new open-carry law, which took effect in January. The law, which allows Texans with licenses to openly carry handguns, has an exemption prohibiting firearms "on the premises of any government court or offices utilized by the court" unless a written regulation or the individual court authorizes it. Paxton argues in the suit that the exemption does not apply to the courthouse in Waller County, northwest of Houston, because the building has non-judicial areas, such as the county clerk's office. Waller County District Attorney Elton Mathis said in a statement that his office is confused "as to why [Paxton] is afraid to cooperate with us in our pre-existing suit here in Waller County to have this issue of law quickly and finally resolved in the court system." Mathis reiterated that Waller County would listen to a court, not Paxton's interpretation of law, in the case. "We as a county have sought to have the law clarified by the courts (as it should be) to protect the rights and duties of all citizens and now the AG seeks to penalize another branch of government for not bowing to big government and his interpretation of the law," Mathis' statement said. "We respect the laws as written by the Legislature, and ultimately we will respect the court system and the judges that were elected to make these decisions without the influence of politics and special interest groups." Officials in Austin have a similar view about the state capital's city hall. In July, Paxton sued Austin over its ban of handguns at the building. The Waller County issue began when Terry Holcomb Sr. saw a sign in May prohibiting guns at the courthouse. Waller County sued Holcomb, founder and executive director of the gun rights group Texas Carry, to settle the issue in a local district court. That lawsuit "is a more appropriate legal avenue for deciding Mr. Holcomb's rights and then county's rights under the relevant laws," Dorsey said in an Aug. 29 letter. Holcomb's group has challenged dozens of county governments over firearm bans. "Some of them agreed with me. Some of them didn't," Holcomb said. "The ones that didn't agree with me said 'you know, we'll just let the process play out.' And that was no problem. Absolutely the right way to handle it. Well, Waller County, when they got my letter, decided that they were going to sue a citizen." Holcomb, a resident of San Jacinto County, said that after he filed a complaint with Paxton's office, Waller County sued in an attempt to bully him. Holcomb said his fight is more about the First Amendment than the Second Amendment. "Regardless of where we sit on the gun issue, it's good that we can agree and disagree on this issue," he said. "And it's good that the courts have a venue to handle these type of legal battles, but to sue a citizen, the repercussions of that are far reaching." Since March, Paxton's office has sent 18 letters to cities and counties after people complained about signs that banned handguns from premises or buildings. "When uncooperative governments post signs to ban Texas citizens from carrying where it is legal, they are breaking the law and infringing on Texans' Second Amendment rights," a note reads on the attorney general's website. The note says citizens may file complaints against government entities that post signs prohibiting weapons in places where licenses holders are allowed to carry. Citizens should contact the attorney general's office if the local entity doesn't resolve the violation within three days, the note says. Paxton Sues to Get Guns Into Austin City Hall – Texas Attorney General Ken Paxton in July announced a lawsuit against the city of Austin in Travis County district court, trying to force the city to comply with his reading of the state's open carry law and let license holders openly carry handguns in city hall.